Plastic injection molding and aluminum die casting are the most 2 popular methods for producing components. They are suitable for mass production but also for low volume manufacturing. They are similar and different. 1. The melting temperature of plastic part is lower than aluminum parts. 2. In same design, product in plastic is lighter than in aluminum. 1. Plastic injection molded parts usually require metal inserts to hold a thread for screws. 2. Plastic does not block EMI/RF waves. 3. Compare to aluminum part, plastic part is not strong. 4. Plastic is not typically biodegradable. 1. Part can be threaded directly on hole. 2. Can apply post machining to obtain high precision dimension. 3. Aluminum casting part has great thermal transference properties. 4. Aluminum is a natural conductor of electricity. 5. All aluminum alloys (360, 380, 383, and 413) are made from recycled materials. 7. Aluminum naturally shieds EMI/RF waves. 1. In the same design, product in aluminum weighs heavier than plastic. 2. Aluminum parts usually needed post machining and post finishing. 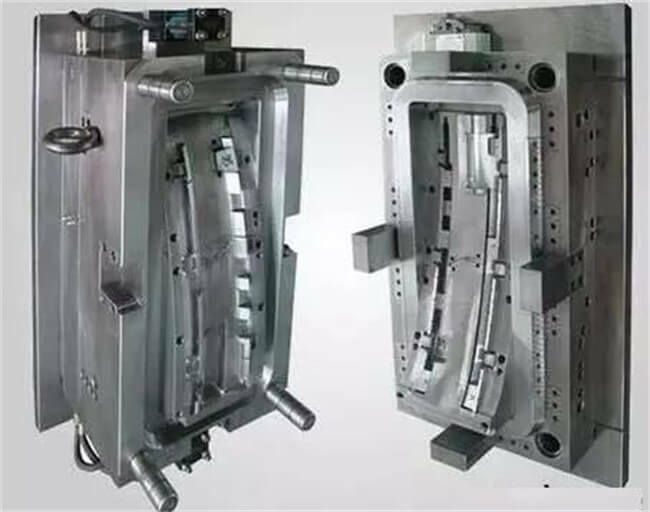 Do you need Injection Molding Service and pressure die casting service from China? TEAM Rapid offers excellent quality injection molded parts and die casting parts at lower cost and shorter lead-time. No matter 50 or 100,000+ parts, we can offer a best solution for you. Contact our team at sales@teamrapidtooling.com today and get a free quote! Where Can I Find a Cheap China Manufacturing Company?